Ulaanbataar – The first nationwide study of migration in Mongolia reveals that most of the country’s internal migrants over the past 30 years have moved from rural areas to the capital, Ulaanbaatar, causing intensive urbanization and de-population of the countryside. According to Mongolia: Internal Migration Study conducted by the National University of Mongolia, nearly half of the country’s population (47 percent) are now living in the capital, up from a little over a quarter (26.8 percent) in 1989. Between 20110 and 2016 some 126,143 people arrived at Ulaanbaatar, bringing the total population to 1.4 million, according to the National Statistics Office. The study, which surveyed 1,000 migrant and non-migrant households, showed that most people did not migrate in response to a specific event. Most moved in search of jobs, better living conditions, educational opportunities, better health services, or to reunite with family members. The majority settled in Ger districts on the outskirts of Ulaanbaatar, which now account for over 60 percent of the city’s population but have never been adequately integrated into municipal planning. New migrants form almost one third of the population living in these areas and an estimated 40 percent of them are believed to need support. “SDC’s support for conducting these assessments reflects a new direction in the Swiss Cooperation Strategy with Mongolia 2018-21 that aims at enhancing our engagement in addressing the challenges of rapid urbanization,” said Gabriella Spirli, SDC’s Director for Cooperation. “These studies go further than providing important baseline data. They represent a breakthrough, because they are evidence-based and propose short- and longer-term solutions at national and local levels to improve current policies and procedures,” said IOM Mongolia Officer in Charge Richard Fairbrother. “IOM will continue supporting the government, the UCM, and the people of Mongolia, to uphold the human dignity and well-being of Mongolia’s internal migrants,” he added. 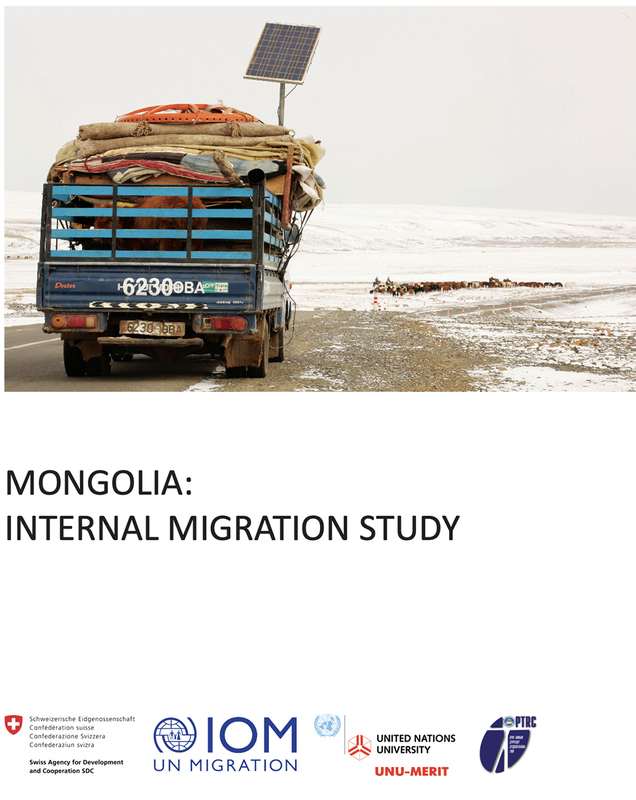 Following the launch of the reports, IOM will provide training to Mongolian policy makers on the principles, dynamics and challenges that characterize strategic management of internal migration. The training will aim to help the government to eventually draft a policy framework for managing internal migration. Separately, IOM is today (22-23/10) organizing a two-day training in the use of its Displacement Tracking Matrix (DTM) for 43 trainers from Mongolia’s National Emergency Management Agency (NEMA.) NEMA is responsible for emergency preparedness, planning and early warning systems nationwide. Rural populations in Mongolia are particularly vulnerable to the impact of climate change and natural disasters. The rising incidence of severe droughts and dzuds (harsh winters) in the country often forces herders to either travel longer distances to find pastures or, in the event of losing their livestock, to move to urban centres. The NEMA trainers will share their knowledge with district (soum) level colleagues to improve data collection, processing and assessment to inform emergency responses and enhance NEMA’s understanding of population movements and the needs of displaced populations on the move. A series of further trainings for soum DTM focal points is scheduled for December. For more information please contact Zuzana Jankechova at IOM Mongolia, Email: zjankechova@iom.int, Tel: +976 70143100.